Find the best electric for rock, metal, blues and beyond…Finding the best electric guitar for you is a very personal choice – there are countless shapes and sizes to choose from, all of which suit different musical genres and goals. Here, we’ve recommended a host of instruments across several key price points, which cover all the bases. Ahead, you’ll find a selection of the most highly rated instruments from our rigorous reviews, ensuring that whichever one you pick, it will provide years of faithful service and great tone.From the best Fender guitar to the greatest semi-hollow, shred and metal models, no matter what kind of music you play we’ve got you covered: these electric guitars are sure to hit the mark. 1. Fender Deluxe Series Roadhouse Stratocaster – The best-sounding, most playable Strat under a grand. Launch price: $799 / £679 | Body: Alder | Neck: Maple | Scale: 25.5″ | Fingerboard: Maple/pau ferro (dependent on finish) | Frets: 22 | Pickups: 3x Vintage Noiseless Single-Coil Strat | Controls: Volume, 6-position V6 rotary tone switch, tone, 5-way pickup selector | Hardware: 2-Point Synchronized Tremolo, Deluxe locking tuners | Left-handed: No | Finish: Olympic White, Mystic Ice Blue, Classic Copper & 3-Color Sunburst. Positive: Noiseless pickups. + Comfortable 305mm fingerboard radius. Negative: Included Gig-bag could be better. A few similar sounds from the V6 preamp. 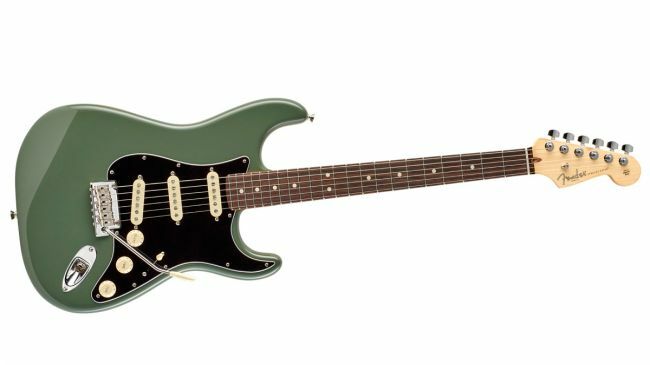 Fender has shown the spec sheets of its popular Mexican-built Deluxe Series Roadhouse Stratocaster model some love to create a reboot that comes seriously well appointed. The upgraded model features an alder body and bolt-on maple neck, with the option of maple and rosewood fingerboard, finished with satin polyurethane. Keep sniffing around and you’ll find other features like the ‘Modern C’ neck profile, 22 narrow/tall frets, a contoured neck heel, synthetic bone top nut and a set of locking tuners with vintage-look buttons. While the previous editions of the Roadhouse and came with a 241mm (9.5-inch) fingerboard radius, the new model packs a flatter 305mm (12-inch) camber. Yes, the same radius as a Gibson Les Paul, making for easier string bends and lower action. The new Roadhouse features three Vintage Noiseless (1st generation) single coil-sized humbuckers wired to a five-way pickup selector blade switch, and master volume and tone controls. Lurking between the volume and tone knobs is the V6 preamp control, a six-position rotary switch that gives you access to a series of tweaked single-coil tones. Plugging in the Roadhouse reveals a slew of classic Strat tones. 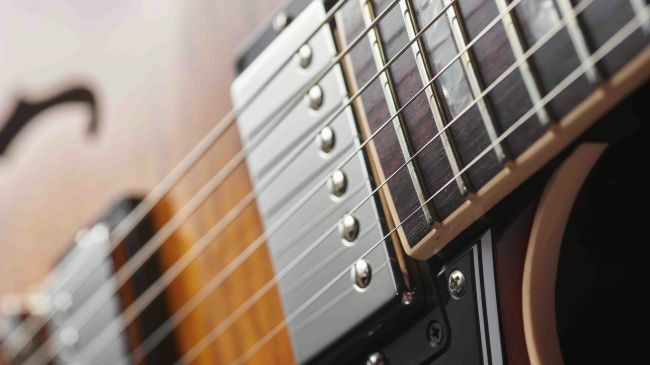 The pickups exploit the natural tone and woodiness of the guitar, while the Noiseless aspect lives up to their vow of silence, making them indispensable in a recording situation. As a result, bar metal, this is the best Fender electric guitar for just about all scenarios. 2. 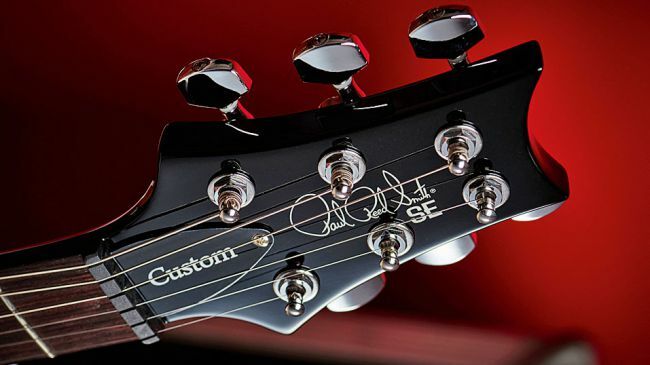 PRS SE Custom 24 – The mid-priced, Korean-made, do-it-all solidbody. Launch price: $779 / £849 | Body: Mahogany with maple top | Neck: Maple | Scale: 25″ | Fingerboard: Rosewood | Frets: 24 | Pickups: 2x 85/15 ‘S’ humbuckers | Controls: Volume, tone (with push-pull coil-split), 3-way selector | Hardware: PRS vibrato, PRS SE tuners | Left-handed: Yes | Finish: Fire Red Burst, Tobacco Sunburst, Trampas Green, Whale Blue. Positive: Great range of tones. Partial coil-splits. Excellent vibrato. 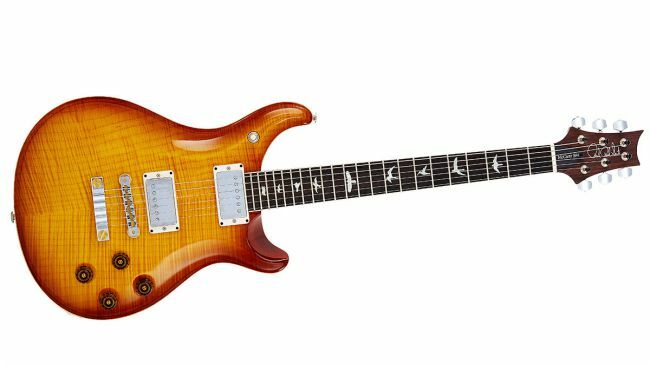 A more affordable version of PRS's classic solidbody. tackiness to the neck finish. Price increase for 2018. The PRS SE range has offered solid, well-built, great-sounding guitars for years now, and the PRS SE Custom 24 2018 is a perfect example. 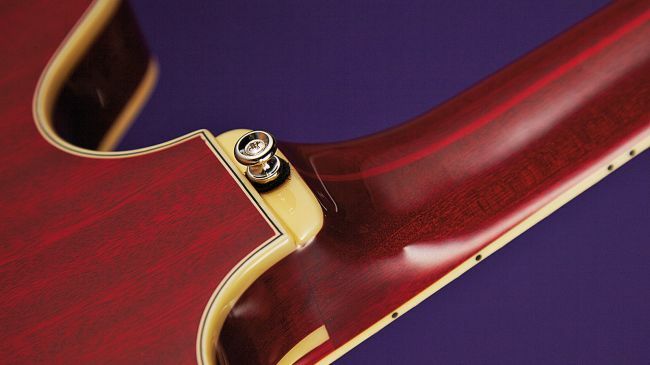 This Korean-built mass of maple, mahogany and rosewood is a classy-looking guitar. It’s a wonderful instrument to play too – PRS’s expertise making eye-wateringly expensive guitars is evident from the moment you pick it up. The bridge, for example, has a noticeably low profile. This makes palm-muting a much more pleasant experience, especially if you’re used to chugging away on a Floyd Rose-style bridge. 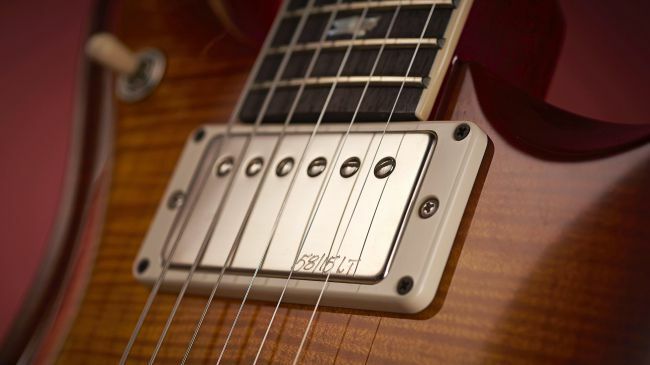 A lot has been made of the SE Custom’s pickups; 2017 models added Korean-made versions of the 85/15 pups used on the more expensive American Core line, dubbed “the perfect pickup” by Paul Reed Smith himself. 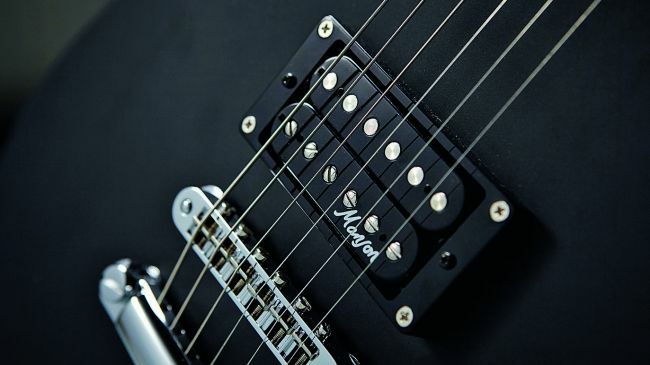 Largely, they live up to that promise; the bridge pickup is capable of some serious chunky metal tones, which retain definition and clarity even at absurd levels of gain. Spend some time with the SE Custom 24 and you’ll come to realise that there is no stereotype that fits. And therein lies its beauty. It’s not a guitar or a brand that concerns itself with cultivating a popular image; PRS has always favoured more obvious metrics like quality manufacturing, great sounds and classic looks. Launch price: $749 / £350 | Body: Laminated maple, semi-hollow | Neck: Nato | Scale: 24.75″ | Fingerboard: Rosewood | Frets: 22 | Pickups: 2x Broad’Tron humbuckers | Controls: Neck volume, bridge volume, tone, 3-way pickup selector | Hardware: Adjusto-Matic bridge, ‘V’ stoptail tailpiece | Left-handed: Yes: G2622LH | Finish: Walnut Stain, Black. sonic potential. Centre block widens use at higher gains/volumes. Negative: Slightly sponge-y tuners. Thicker-than-Gretsch tonality. High-fret access not as good as an ES-335. The Streamliner concept is simple: to create more affordable Gretsch guitars without losing their specific DNA. 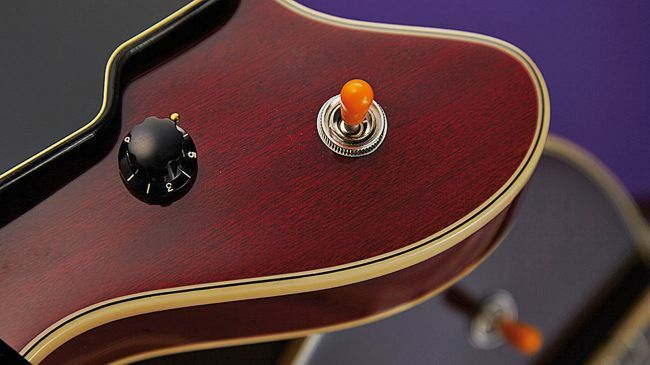 Two new Broad’Tron humbuckers are controlled in classic Gretsch style by a three-way toggle selector switch on the bass side shoulder, a master volume on the treble side horn, and then a trio of controls by the treble-side f-hole for individual-pickup volume and master tone. 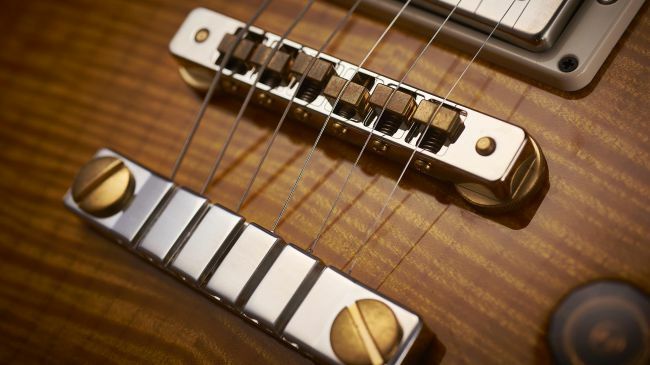 The G2622’s construction gives a different response and resonance to other new releases from Gretsch and, with these pickups, moves further from the Gretsch sound. And while its construction gives it a more solid, or at least ES-335, character, it’s a little more airy and less punchy with a softer, squashier tonality. 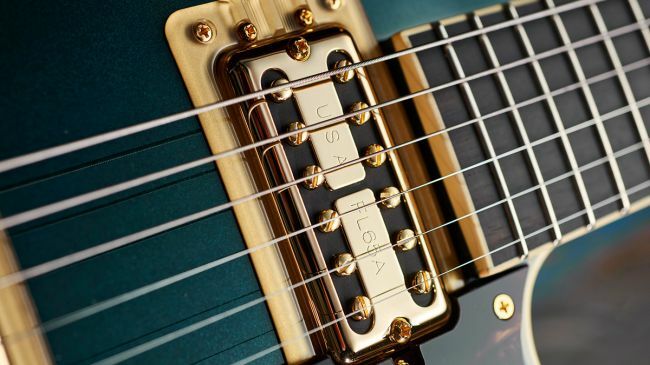 The beefier pickups certainly don’t nail a classic Gretsch tonality – although if that’s what you want, the full-size pickups are easy to replace – but they do broaden the sonic potential, especially for more gained styles, while staying close to the classic iconography. 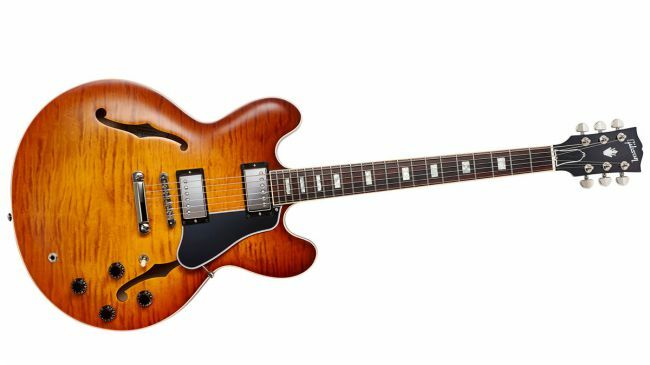 If you want a great-value semi-hollow, this is among the best electric guitars for under $500. 4. 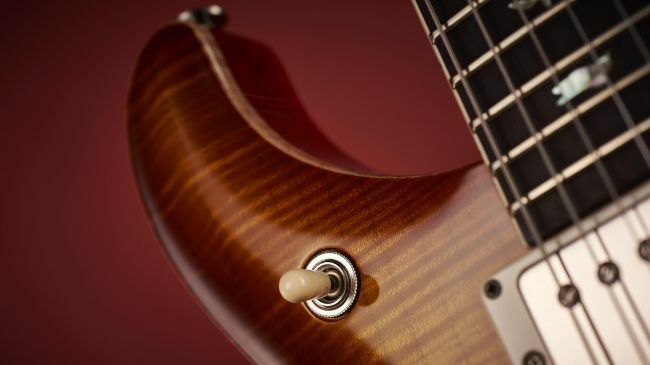 PRS S2 Standard Singlecut Satin – The most affordable US made PRS is a stripped back rock machine. Launch price: $1,049 / £999 | Body: Mahogany | Neck: Mahogany | Scale: 25″ | Fingerboard: Rosewood | Frets: 22 | Pickups: 2x #7 humbuckers | Controls: 2x volume, 2x tone (with push-pull coil-splits) | Hardware: PRS adjustable stoptail bridge, PRS low mass locking tuners | Left-handed: No | Finish: McCarty Tobacco Burst, Vintage Cherry, Charcoal. Positive: PRS's American build at a solid price point. Great range of tones. Negative: Doesn't capture the 'classic' single-cut visual vibe. The specs for this stripped-back Singlecut are identical to PRS’s gloss Standards; the difference is in the paint – or, rather, the lack of it. Instead of that faster S2 gloss, here we have a nitrocellulose satin finish that doesn’t bother with grain filler – you can easily see the body wood’s grain and feel it on the neck – for a thinner finish, which will wear and age the harder you play it. Plus, thin finishes don’t choke any vibrations or resonance. Along with the dot-only fingerboard inlays, this Satin Singlecut looks very workmanlike, but the build and parts still deliver the goods. The body is one-piece mahogany, the neck three-piece. The bridge is the USA Stoptail, the locking tuners, like the pickups, made in Korea to PRS specs. 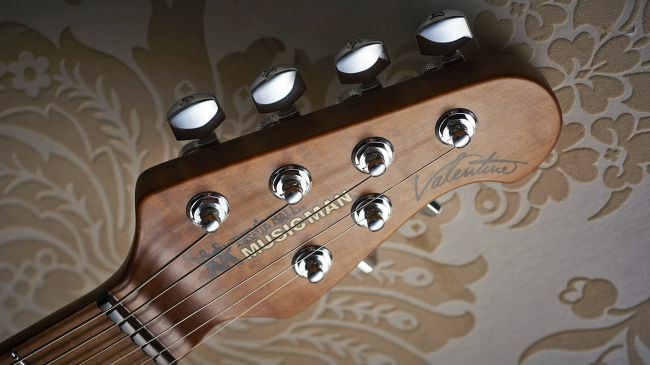 The pattern regular neck is a nice mainstream handful, and setup and intonation are, as ever, top-drawer. 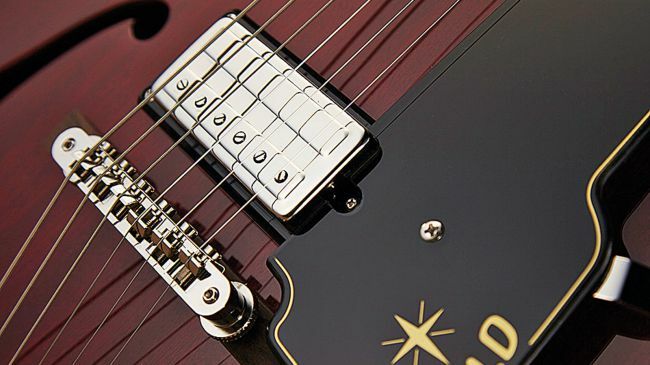 Mahogany guitars can be dark-sounding and here, yes, there’s a throaty midrange focus, but a clean-edged ring and resonance that provides clarity and punch, much like the pickups that nail an almost P-90-ish sizzle and classic-rock poke. The four-control layout means there’s plenty of adjustment, and the coil-splits on the tone controls add authentic single-coil cut. Clean, low, medium or high-gain, this one’s a banker: the most rock-out, resonant blue-collar PRS we’ve ever played, and that’s why it’s one of the best electric guitars, especially at this price point. 5. Fender Classic Player Baja ’60s Telecaster – A hugely versatile take on Fender’s classic solidbody. Positive: A wide range of smooth high-end sounds. Clever pick-up selection. Negative: Not one for the traditionalists. It’s the neat switching that makes this very classic-looking Tele act a little differently. 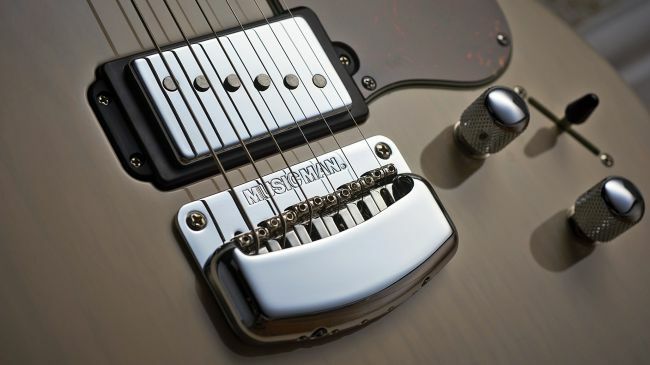 All the standard Tele pickup selections – bridge, bridge and middle (in parallel) and neck – are in place, but it’s a four-way switch, as opposed to the standard three-way; the additional selection provides us with both pickups in series for a bigger, louder and more humbucker-like ‘secret’ sound. 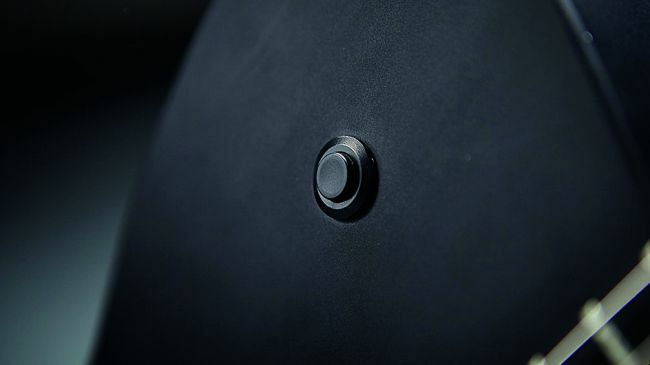 The volume control has the S1 push switch in the top of the control knob: pushed down, the parallel and series-combined pickup selections are out-of- phase, giving three additional sounds over the standard Tele. The Baja sticks relatively close, of course, to the classic 60s Tele recipe. The rosewood ‘board and alder body just seem to give that lovely smoothness to the high end that will make it less ear-wearing, especially if you’re swapping over from an older-style humbucking Gibson. The standard mix is typically classic, wider than a Strat’s but still nicely textured; the neck pickup here sounds a little fuller than some older readers or vintage Fender electric guitar owners will remember. Positive: Ideal for beginners. Great design. Impressive build quality. Modern sounds. Versatile. Negative: Vibrato could be better. The Yamaha Pacifica has long proved a benchmark for quality and specification, and the 112V remains one of the best electric guitars for beginners. The 112 is far from fancy and simply concentrates on the bare necessities. Yet the construction is of excellent quality. Trust us, if looked after this will be a guitar for life. 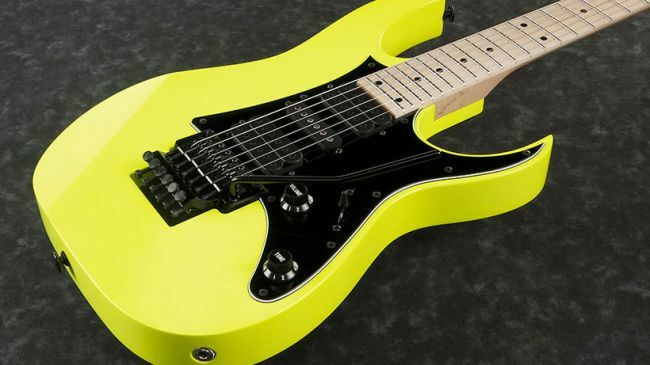 By design it’s an altogether more modern, brighter and lighter take on a hot-rod Strat. But when we say brighter that doesn’t mean overly shrill. In fact the bridge humbucker will surprise some, it’s beefy without being too mid-range heavy and although the coil-split proves a little bland played clean, with a distortion boost it’s a pretty useful gnarly and wiry rhythm voice. It’s good to have the choice too when mixed with the middle pickup – switching between the full and split coil here is subtle but, especially with cleaner ‘class A’ amp voicings, there’s enough character difference to be useable. The solo single-coils impress – plenty of percussion and with a little mid-range beef added from the amp these get you to the correct Texas toneland. Neck and middle combined produces a fine modern Strat-like mix – the added brightness will cut through a multi-FX patch nicely. 7. Ibanez RG550 – One of the best shred guitars of all time returns. Positive: Tonally versatile. Astoundingly speedy playability. 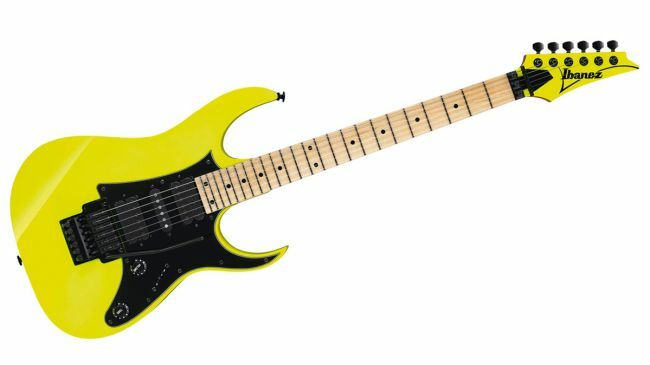 A faithful reboot of one of shred's most iconic guitars. Negative: Not for players who prefer thicker necks. The finishes won't be for everyone! Introduced in 1987 and discontinued in 1994, the Ibanez RG550 remains the childhood sweetheart of many players. 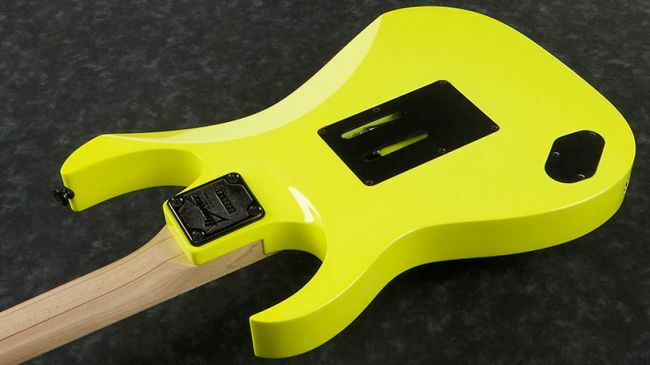 Designed as a mass-appeal version of Steve Vai’s famous JEM777 model, it had character in abundance. For this reboot, Ibanez has skilfully managed to extract the very essence of what was so popular about the original RG550 and piece it back together in a way that enhances its legacy. The Japanese-made 2018 vintage is, essentially, a masterclass in everything that is good about shred and metal guitars. 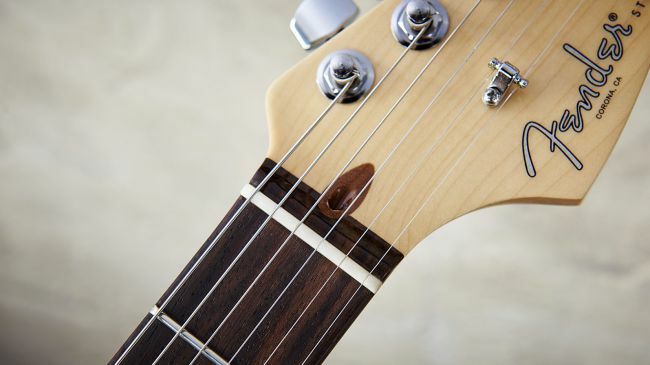 The neck feels lithe – your hand glides, rather than simply moving – while the Edge vibrato is rock-solid and the overall craftsmanship is exemplary. Tonally, the RG550 covers a lot of bases. It always did, despite its pointy appearance, meaning you could comfortably stray into all kinds of genres without too much fuss. 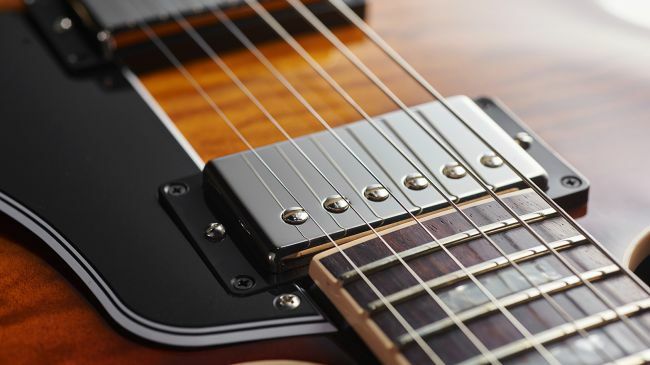 The US-designed V7 bridge humbucker delivers the razor-sharp riff platform you’d hope it would, while the V8 neck ’pup offers a hint of compression at higher gain settings, which levels lead lines nicely. It is, in the best way possible, everything you remembered from the original, and that makes it one of the best shred guitars available today. 8. 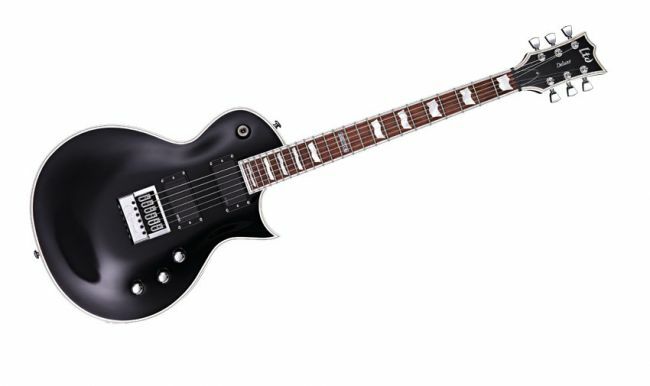 Cort Manson MBC-1 Matthew Bellamy Signature – The Muse frontman’s signature model punches well above its price tag. Positive: Manson pickups and tones at a fraction of the price. Great design touches. Superb tool for gain-y rock sounds. More than a signature model. Negative: Limited finish options. Muse fans hoping for built-in effects will be disappointed. At £499, the MBC-1 is designed to hit a completely different price point to the Muse genius’s full-fat Manson models, and although still designed by both Matt and Hugh, it’s made in Indonesia by guitar-making giant Cort. 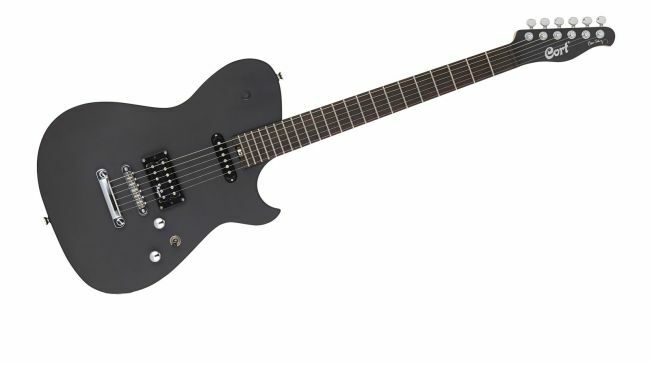 Price aside, a quick strum lets you know this is a Manson through and through: it rings like a bell, the sort of acoustic response you’d expect from a quality guitar, but not always at this price. In style, the MBC-1 is a pretty accurate repro of the instruments used by Matt. That big upper shoulder won’t be to everyone’s taste, but in playing position, it’s not only lightweight (3.52kg) but with forearm and ribcage contours, it fits like a glove. And the bolt-on maple neck feels superb, too, with a deep C profile and sloping shoulders that tell your hand it’s thinner in depth than it actually is. Unusual at this price, too, is the compound radius fingerboard, which flattens out as you move up the neck; with tidy jumbo – but not over-tall – frets, it’s a fast, fluid player, as well, which makes it one of the best electric guitars for hard-rock players. Pickup-wise, we have a fairly hot Alnico-powered humbucker at the bridge and a single coil at the neck. Along with a master volume, tone and three-way pickup selector, the upper shoulder also holds a kill button for stutter effects. Squier Vintage Modified ’72 Telecaster Thinline – Lightweight body, heavyweight tones from this budget stunner. Launch price: $499 / £406 | Body: Ash, semi-hollow | Neck: Maple | Scale: 25.5″ | Fingerboard: Maple | Frets: 21 | Pickups: 2x Dual Wide Range humbuckers | Controls: Volume, tone, 3-way selector | Hardware: Strings-through-body Telecaster bridge with six saddles | Left-handed: No | Finish: 3-Color Sunburst, Natural. Positive: Fender Thinline tones at a Squier price. Nice attention to detail on the build. Negative: Gloss-finished neck won't be to every player's taste. Squier has now seen fit to introduce Fender’s revered ’72 Thinline to its own range, and it looks the business, with white pearloid scratchplate, finely carved f-hole and Fender- embossed humbuckers. While you’ll find the gloss-finished modern C neck across much of Squier’s Vintage Modified range, you’re unlikely to find tones quite like the Thinline’s anywhere else, certainly at this price. Cleans from the neck and middle positions are punchy and persuasive, not dissimilar to fat P-90-ish single coils, but flicking over to the bridge humbucker yields a burly, resonant voice that screams for big open chords and an overdriven valve amp. That’s why it’s one of the best electric guitars for Indie and alt-rock players. 9. Ibanez Prestige AZ2204 – A Japanese-built, high-spec electric that can do it all. Positive: Good-looking. Smart build. Great playability. Hugely versatile set of tones. Negative: Lack of colour options. No rosewood fingerboard option. By design, the AZ series is all about function: a tool to do a job. That said, both the body and neck adopt a more vintage bolt-on guise that’s less pointy, more classic than we’re used to from Ibanez. 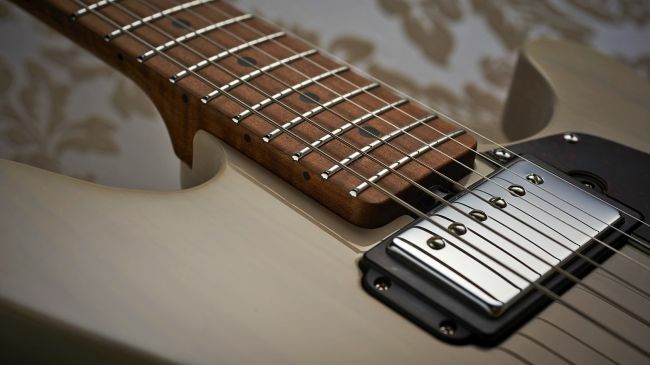 There’s also a completely new set of AZ-exclusive pickups: the Seymour Duncan Hyperion. This HSS guitar also has the dyna-MIX 9 system introduced by a two-way mini-toggle ‘Alter’ switch placed between the master volume and tone controls, yielding a whopping nine pickup sounds. For the player wanting to cover virtually everything from jazz to shred, well, Ibanez has pretty much done it. This is a seriously versatile, good-sounding, tidily made instrument that puts Ibanez squarely back into the mainstream. 11. Fender Johnny Marr Jaguar – The Smiths genius’s spectacular reworking of the classic short-scale offset electric. Positive: Fantastic Jaguar tones. Updated, practical playability. Negative: Not everyone will like the vintage frets. 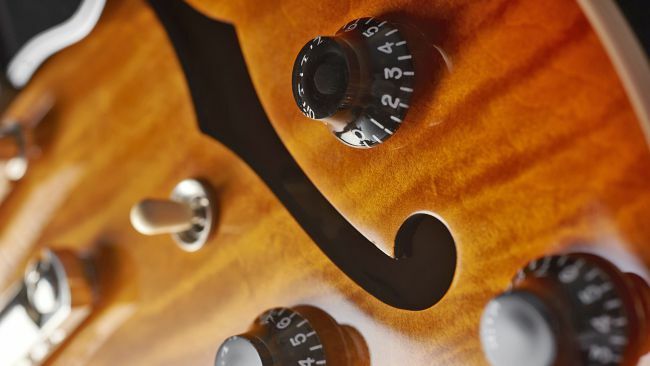 Rarely have we come across a redesign of a classic instrument that is so thorough… yet still adheres so closely to the original! Neck shape, body contouring, hardware, pickups and electronics have all been under the microscope of Marr and his design cohorts in redesigning this short-scale offset classic. 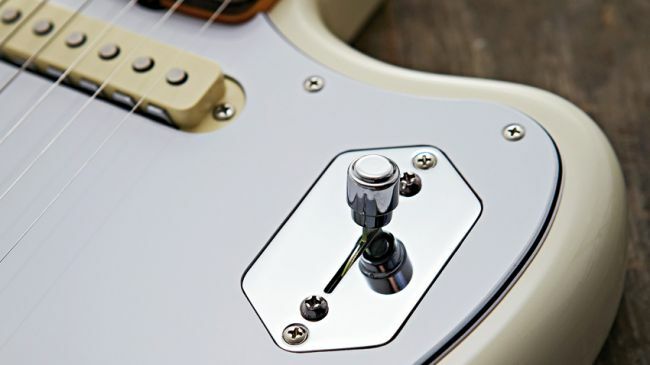 The new bridge design swaps the threaded rod saddles of the Jaguar for the bigger, solid, non-height adjustable Mustang saddles that sit flush on the bridge tray. 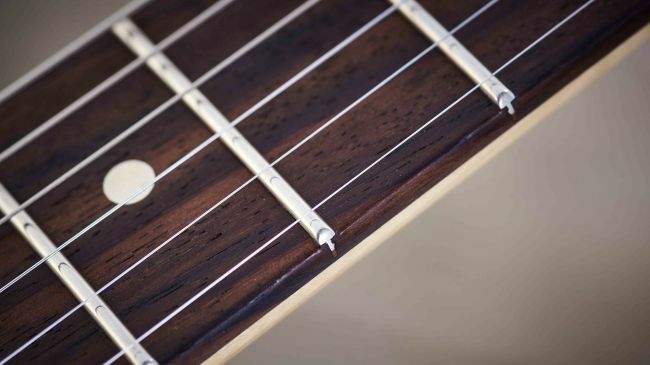 The saddles just have a centre-placed string groove but this increased width means there’s very little gap between the low E and the outer edge of the fingerboard the further up the neck you go. Marr has also ditched the traditional dual rhythm/lead concept. 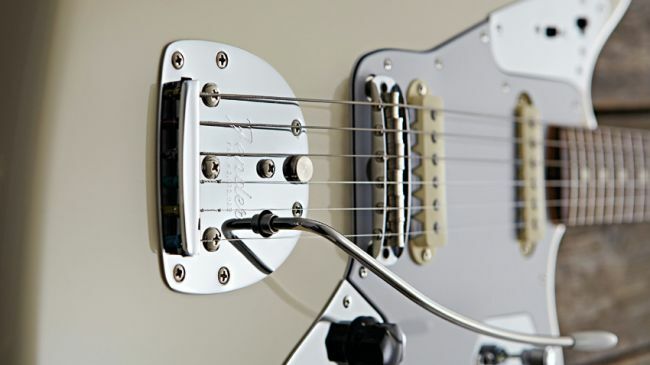 This Jag has just one circuit: standard volume and tone controls and a four-position lever switch mounted on the smaller of the three chromed plates. In position one, it offers just the bridge pickup; position two, bridge and neck pickups (in parallel); position three, neck pickup; and lastly position four, neck and bridge pickups (in series). We still have the slide-switch style of the original Jaguar to engage not one, but two, of the original’s high-pass filters. The top switch is the master filter (up engages the cut); the lower switch, mounted at a right angle, only works on position four where forward is on (ie, it introduces the cut). Both these switches stick up less than the standard slide switches too, and are slightly more comfortable: typical of the thought and detail that has gone into this guitar. There’s Fender-aplenty in the sounds but, as Marr says, Gretsch and Rickenbacker spring to mind, especially with a little tone roll-off. Above all though, the clarity, and the musical sweetness of the tones allow for complex chord voicings for jazzier rhythms or simpler soul and funk styles. 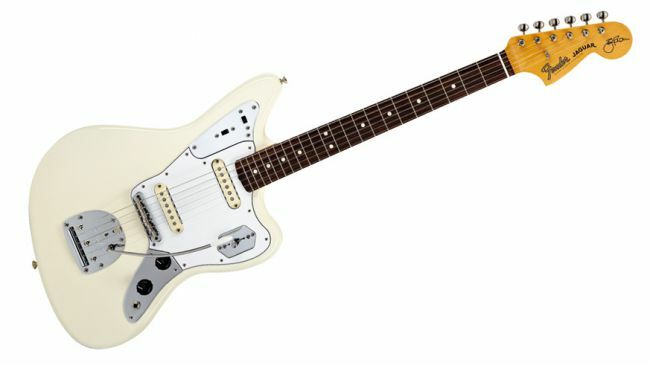 The Johnny Marr Jaguar is a thorough redesign from the perspective of a very busy working guitarist. 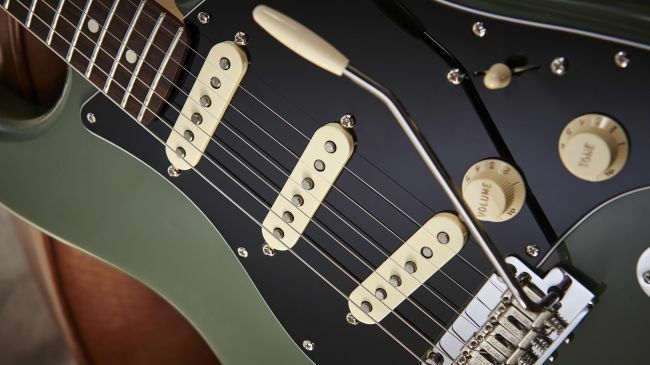 Aside from the low E being rather too close to the fingerboard edge in higher positions, it’s faultlessly built for purpose, addresses five decades of ‘Jaguar-ness’ and puts a decidedly leftfield design squarely back in the mainstream. 12. 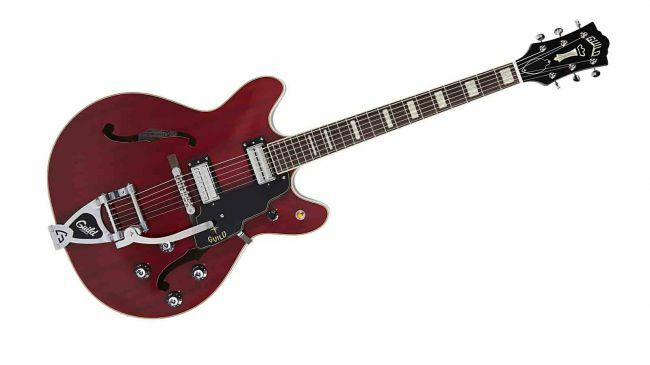 Guild Starfire V – A Korean-made semi-hollow with classic styling. Launch price: $1,699 / £1,006 | Body: Laminated mahogany, semi-hollow | Neck: 3-piece mahogany/maple/mahogany | Scale: 24.75″ | Fingerboard: Rosewood | Frets: 22 | Pickups: 2x LB-1 humbuckers | Controls: Bridge volume, bridge tone, neck volume, neck tone, 3-way selector | Hardware: Guild Tune-o-matic bridge with rosewood base, Guild vibrato, Grover Sta-Tite open-gear 14:1 tuners | Left-handed: No | Finish: Cherry Red, White, Black. Positive: Classic feel and tones. Great value for money. Period looks. Negative: Quite weighty for a semi. Firmly intended to compete with Gibson’s ES-335, the Starfire IV, V and VI retain plenty of Guild style, not least the more spacious cutaways and the wooden foot tune-o-matic-style bridge. Placed side-by-side with an equally new Bigsby-equipped Gibson ES-335, the Starfire V somehow looks more ‘retro’, more 60s. The body here is made from mahogany laminates with a distinct striped figure under the Cherry Red finish, which was introduced with the first Starfire. Then, as now, it all creates a different aesthetic to the Gibson ES-335. 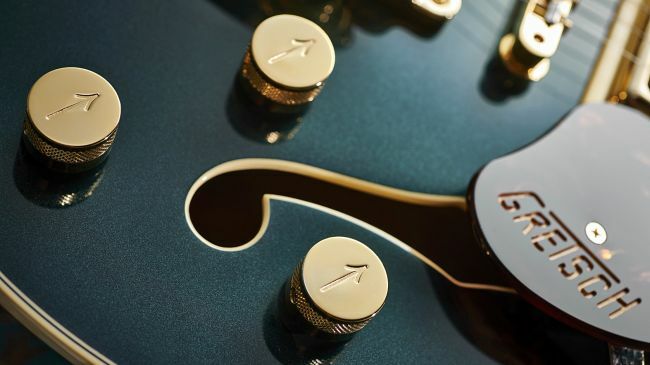 A major difference is the control set-up, which here augments the Gibson layout with a smaller knobbed master volume control on the treble horn, just behind the three-way toggle pickup selector. 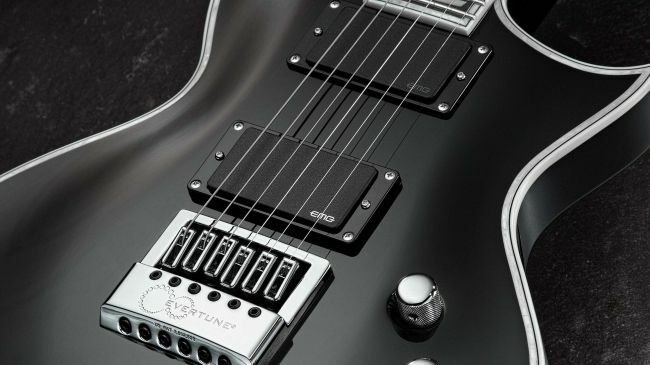 The pickups here replicate the early-60s introduced ‘Anti Hum Pickups’ and are period correct, along with the black plastic, chrome-tipped control knobs. It’s a fairly weighty guitar for a semi, thanks to the full-length maple centre-block, and has a classic strapped-on feel. It is, of course, thinline depth and feels every bit an ES-335. It has a ‘clean’ sound, with low-end definition, slightly bright on the treble pickup with decent sustain and, importantly, a very respectable feedback threshold. It likes volume, and while similarly evocative of virtually all those classic styles, it’s the stage version and effortlessly takes you on to early The Who, The Jam or Britpop voices, while seemingly equally at home with rootsy, strummier Americana. 13. LTD EC-1000 EverTune – A svelte rock single-cut that never goes out of tune. 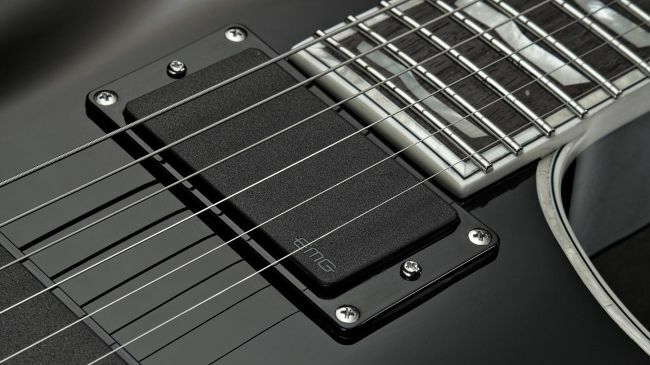 Positive: EverTune bridge ensures constant tuning. Great metal and rock guitar. No tangible tone compromises from the bridge. Unobtrusive bridge design. 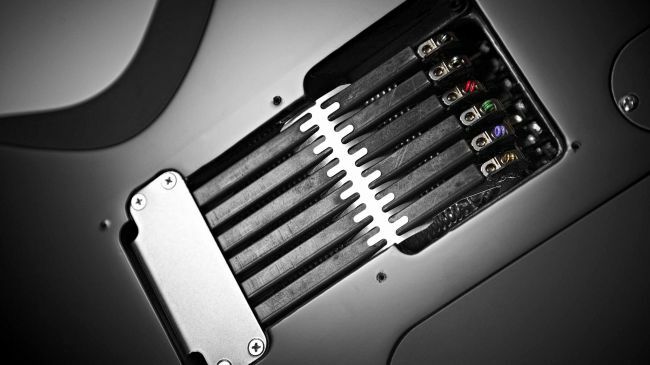 Negative: EverTune is complex to get to grips with initially. 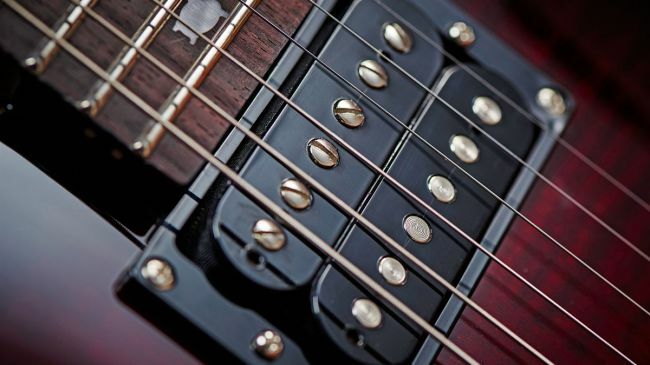 The EC-1000ET is an all-mahogany single-cut loaded with an set of EMG 81 and 60 active humbuckers, a comfortably modern neck and a high level of construction quality. 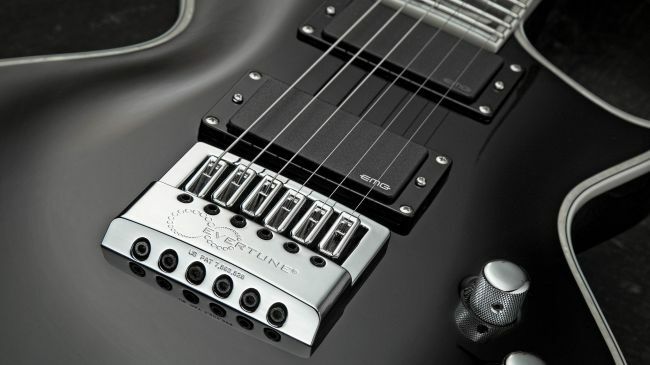 Its key selling point, however, is a fitted EverTune bridge – unlike other tuning systems, it doesn’t tune your guitar for you or offer altered tunings. Instead, once set and tuned, it simply aims to stay there, thanks to a series of tension-calibrated springs and levers. We tried everything we could to knock it out of whack: huge, three-step bends, wildly exaggerated string stretching… we even put the guitar into a freezer. It came back perfectly in tune every single time. What’s more, a guitar that’s perfectly tuned and intonated up and down the neck seems to play much more musically. We’re not aware of any tone compromises, either. The EC sounds as full and aggressive as ever, with the more mellow tones of the neck EMG being pleasantly rounded, and all bereft of any metallic spring clank. If never going out of tune is important to you, this is one of the best electric guitars going. 14. Fender American Professional Stratocaster – A flagship Strat that’s a gig-ready workhorse. Positive: Top-notch build quality. Superb, 'produced' Strat tones. Negative: Spec could be a little bland for some. The Professionals – just like the Standards before them – are designed to appeal to a wide range of players with a wide range of styles – which makes this Strat one of the best electric guitars available. 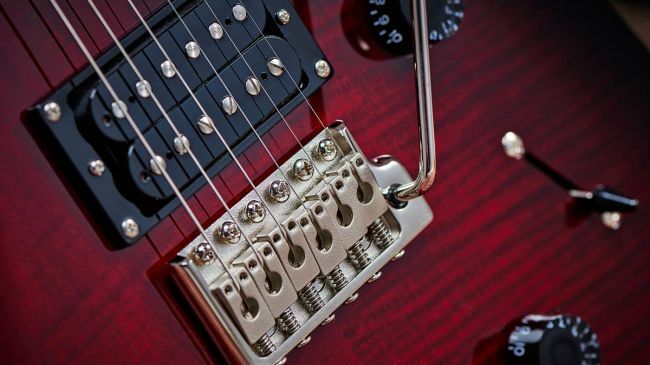 The major difference between these new styles, however, is the new single-coil pickups. The basic premise lies in using different rod magnets for the treble and bass sides of the pickups from a choice of Alnico 2, 3 and 5. All the Strat pickups use 42 gauge Formvar wire and are calibrated for their positions, plus the centre pickup is RWRP so the parallel mixes are hum-cancelling. The new neck shape here isn’t hugely different from the ubiquitous modern ‘C’ of the previous Standards; it’s marginally deeper back- to-front with a subtly fuller shoulder. Plugging in, this is a modern, clean-voiced Strat that almost sounds like it’s been ‘produced’ to maximise its Strat-i-ness. Where are you going to take it? We find ourselves driving in a slightly different way, pulling back the tones a little to lose some of that edge for rougher tones, while the treble bleed cap keeps things bright as we knock back the volume and hit the pop/funk button. 15. Ernie Ball Music Man Valentine – Maroon 5 guitarist’s signature model covers all the pop bases. Positive: Individual styling. Custom shop quality. Fabulous neck. Great range of tones. Negative: Some people just don't like signature guitars. Pricey. 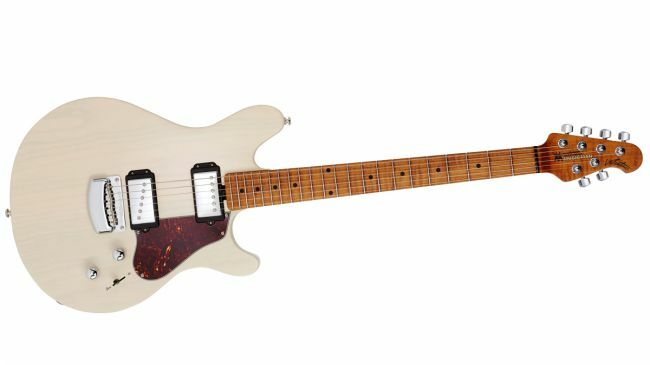 James Valentine of Maroon 5 has a strong idea of what he wants in a guitar and so, along with the craftsmen at Music Man, has created his dream machine. Valentine’s desire was for a guitar that blends innovation and a modern vibe, with a reassuringly classic appeal – a bit Gibson semi, a bit Fender Tele perhaps. So, with that in mind, an ash body – in this instance finished in what Valentine calls ‘Trans Buttermilk’ (‘Trans Maroon’ is, of course, available, too) – has been mated to a nutty-looking roasted maple neck. This is delightfully figured and comes with Music Man’s proprietary wax and oil finish for a tactile but drag-free experience. Build and finish are, as always, dead on. 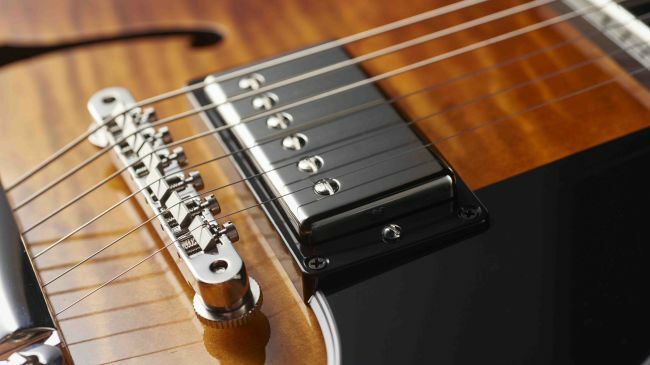 Pickups and controls are interesting: while both pickups are standard humbucking size, the bridge unit is actually single coil, its pole pieces slanted like a Tele or Strat across the chrome cover. Controls are simple, but with a couple of neat twists in the form of push-push pots on both controls – an active boost of up to 20dB on the volume, and a coil-split for the neck humbucker on the tone. We like the ‘hidden’ nature of these sonic extras, because it adds genuine usability but keeps things uncluttered and intuitive. The Valentine looks familiar but just different enough, feels great sitting or standing, boasts a real player’s neck, and its palette of tones – delivered in a fuss-free manner by a clever control and switching setup – is simply superb. Of the hundreds of models that have sought to blend humbucking and single coil tones, this has to be one of the best electric guitars. 16. Gibson ES-335 Figured – One of the finest ES-335s money can buy. Positive: Possibly the best non-historic ES-335 out there. A thermally engineered centre block and bracing make this 335 acoustically louder, open and with more clarity. The ‘burst top and back also look more modern than vintage, while the translucent dark brown/ almost-black sides and neck-back finish add contrast that creates a classy appearance, along with the nickel hardware. We also get a lightweight aluminium stop tailpiece with locking studs, but this is all-very-classic ES-335 fare, such as the small block inlays and the small fleur head logo. Again, Gibson’s build specs tell us we have MHS ‘buckers and here the ‘Memphis Tone Circuit’ includes matched pots with a tight five per cent tolerance, with the same ‘orange drop’ tone caps as the ES-275. Plugged in, it’s like all our Christmases have come at once. There’s a more solidbody response here, as you’d expect, and it really pushes out the sound. It’s expensive, but as an investment, this is one of the best electric guitars on the market. Positive: Four-control classic layout and shoulder-placed toggle switch. Superb build. Oh-so-classic vintage single-cut tones. 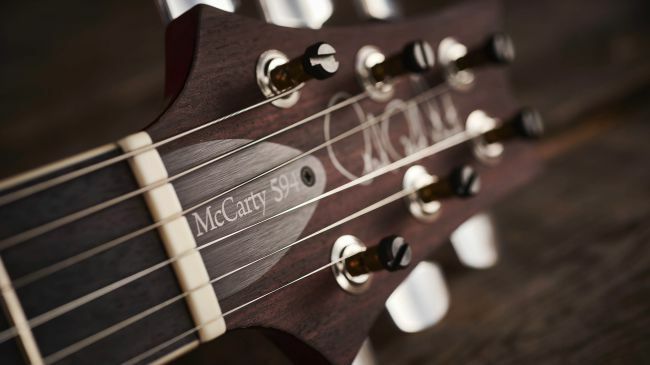 The McCarty Model – named after Theodore ‘Ted’ McCarty, Gibson’s president during its 1950s to 1960s heyday and, much later, ‘mentor’ to Paul Reed Smith – originally appeared in the early 1990s and was the company’s first attempt at a more vintage-informed guitar. It takes its name, primarily, from its scale length of 24.594 inches. However, the focus of the 594 is not just that scale length but a desire to recreate, as closely as possible, the ‘holy grail’ of vintage Gibson tone – a 1959 Sunburst, but in a modern double-cut guitar. A change comes with the pickups, which are PRS’s latest date-series 58/15 humbuckers but with an ‘LT’ (Low Turns) suffix, which on a meter shows the bridge unit to have a lower DC resistance than the standard McCarty’s 58/15, although the neck pickup seems virtually identical. 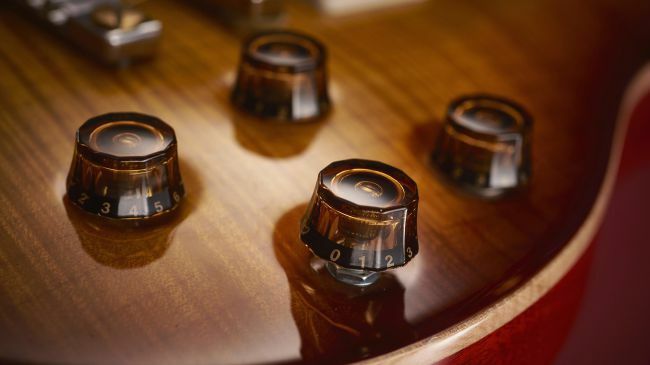 The four-control layout (the first PRS double-cut guitar to use it) possesses the classic LP setup and feels immediately comfortable to any player used to the much-copied Gibson layout. Full humbucking, or with the partial coil splits engaged, full volume, half volume, tones rolled off – not to mention the shades with both pickups on – there’s not a duff sound that we can find. 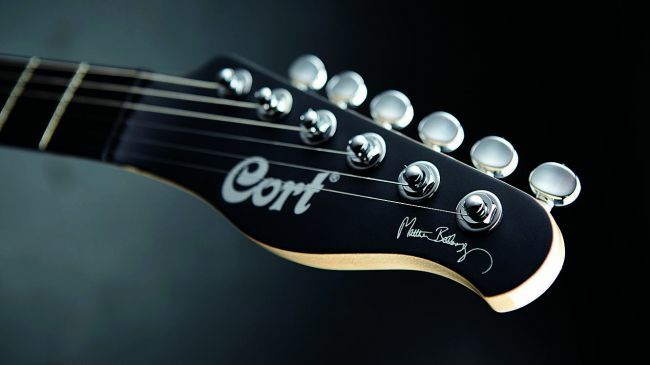 Dynamic, expressive – it purrs, it roars, it’s one of the best electric guitars. 18. 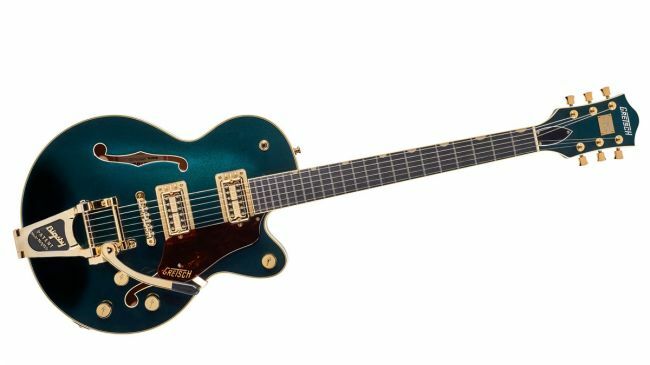 Gretsch G6659TG Players Edition Broadkaster Jr – A highly desirable Gretsch with classic looks and modern tweaks. Positive: Amazing looks. Beautifully built. Vintage and modern sounds. Updated playability. Negative: We could lose the master volume control. Play a classic 6120 or Duo Jet and it can seem a bit, well, old-fashioned. A growing number of players desire the brand’s looks, sound and unmatched vibe, but also want something a tad more versatile and user-friendly. Enter this latest Players Edition model with its neck set lower into the body for improved access, higher-output Filter’Tron-style humbucking pickup (Full’Trons) and a modernised Bigsby vibrato where through-stringing replaces the notorious ‘hooking the ball-end over a peg’ system that scuppered any chance of a quick change. 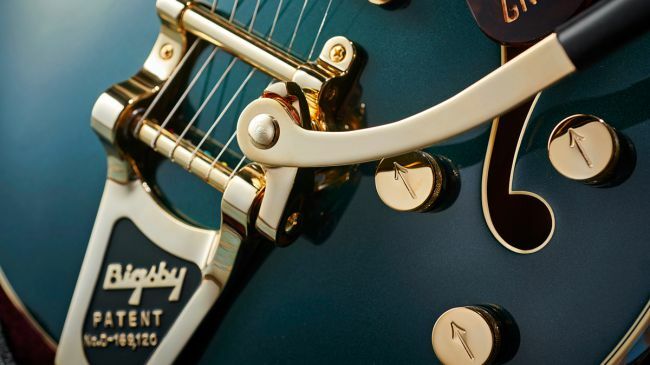 Mate these modern tweaks with another recent innovation (for Gretsch, at any rate), the Centre Block range, and you have a guitar ready to compete with anything out there – in virtually any style.